Hi everyone For the benefit of all our members who could not join in the spring handicap a new event for this year . After several hard fought matches by all with games finishing with less than 1 point after 20 mins non stop. Games also finishing less than 2& 4 points. 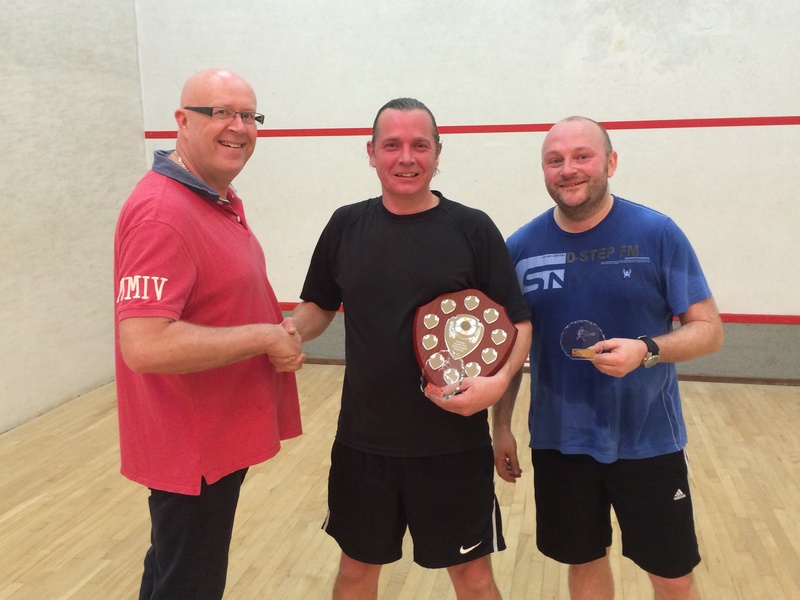 After returning from absence in the leagues for 3 months and a hard fought battle in the final by Gary Wilson and Dugald Humphrey's , the eventual winner playing a game of squash combined with hockey style left hand forehand and right hand forehands . Dugald came out on top . Well done and the support by all participating referees of all games All games and results on the tournament tab Regards Andy Bright Just need to set the main event up now 32 players run over several months leading to the final /subs night. This is organised by mr Tom Fanthorpe .